Mrs. Audrey Ann Lillard age 76, of Ellijay, died, Tuesday March 20, 2018. 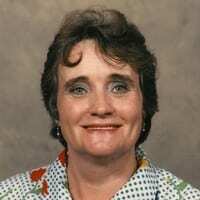 Mrs. Lillard was born, Jan. 27, 1942, in Pickens County, the daughter of the late Benjamin Frank and Mary Burnette Holland. She was a homemaker. Survivors include; sons; Tony and Tim Stover, daughter Willie Craig, daughters-in-law; Tina Stover and Ruby Stover and son-in-law; Willie Craig, sister, Janet Stone, 12 grandchildren, 30 great-grandchildren 7 great-great grandchildren. A private service was conducted by the family. Interment was in the Yukon Cemetery.